Happy New Year – it has been lovely having a very quiet January and very lovely to actually be able to catch up with Jessie and her gorgeous kids while they were in town. Now to find the inspiration to get back into this blogging gig! Once my kids are settled into school (I have one in PP and one in K this year!) I think I’ll have more time to get some food posts happening. How were your holidays? 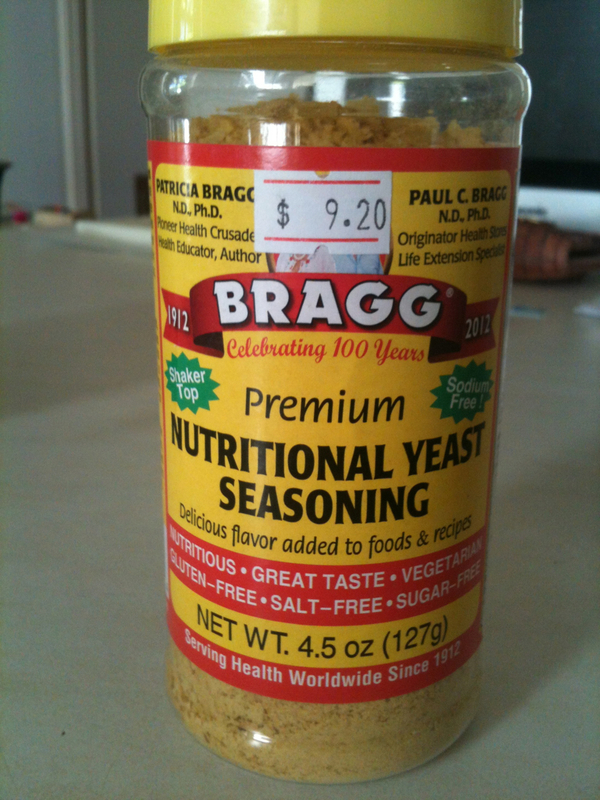 I happened to stumble on a blog post a while ago about Nutritional Yeast while looking at a blog of someone who follows this one and was excited by what I read. It was developed to give to people who didn’t get good nutrition because they were missing out on either enough food or at least enough good food. 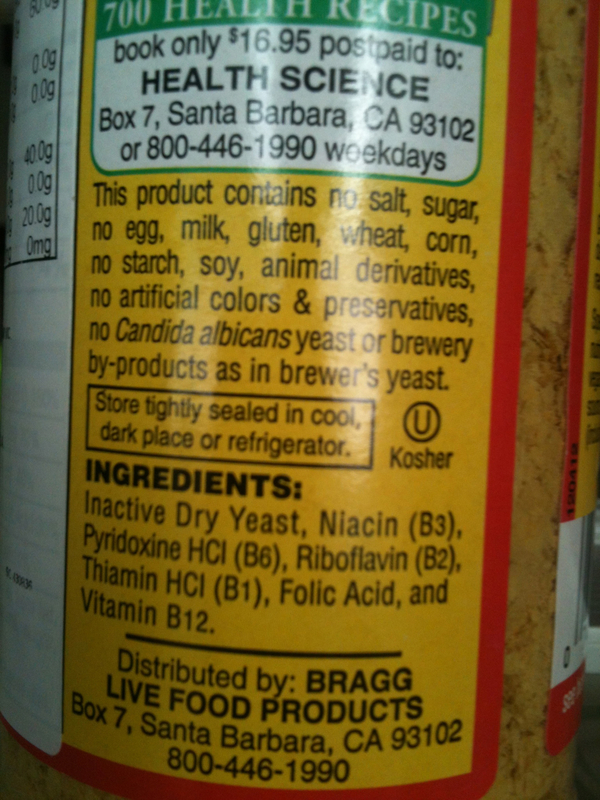 It’s not the yeast we commonly think about either (not candida albicans yeast or brewers yeast). With Jemima missing out on dairy and egg products I was intrigued by the ‘cheesy’ flavour rather than the vitamin boost because she does get good exposure to B vitamins with meat, beans, bananas and potatoes being regularly consumed. I found it in the first health food store I looked in and chose the one pictured. So far I’ve been using it as a topping for pasta of any sort, pizza and in all the baby food I’m making for Emmalyn. Jemima really likes her ‘sprinkles’ and now doesn’t feel like she’s missing out when we all have cheese sprinkled on top. 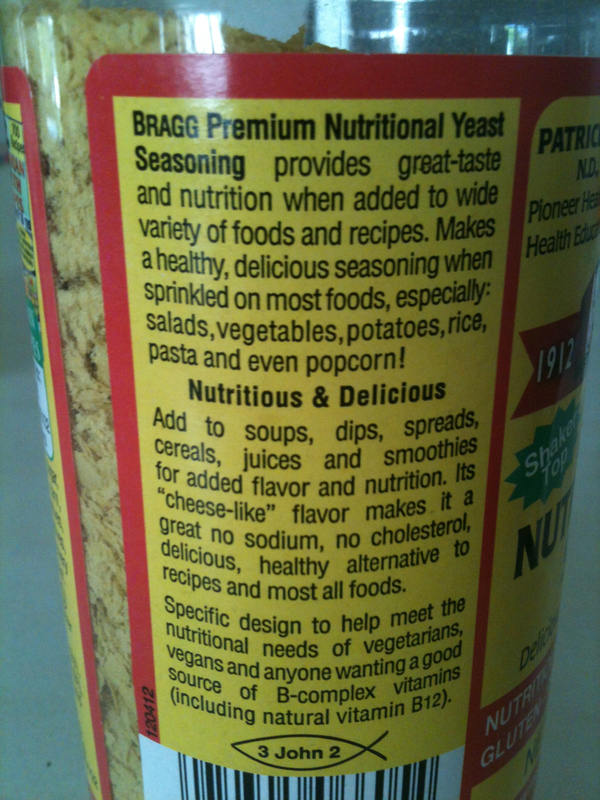 Definitely something to have in your pantry if you are vegan or vegetarian since you miss a lot of B vitamins obstained from meat eating, also if your child is missing out on essential B vitamins through picky eating or even just using as a cheese sprinkle substitute or salt-free (yet still salt-like) substitute.